Deposition Summaries is usually identified by additional names like a testimony, confession or a statement. A deposition is generally obtained verbally by interviewing the witnesses or perhaps the offenders, also referred to as deponents in the legal terminology. The solicitor puts forward several questions to the deponent as the title reviewer records their arguments and evidence. A deposition can often be lengthier than a hundred pages and such massive amount of data ought to be summarized by an expert with the intention that the solicitor could very well analyze it and put it to use. Deposition summaries are utilized in numerous instances like civil cases, medical malpractice, personal injury, indemnity, patent infringement, wrongful end of a contract, breach of an agreement, trusts and estates, and the intellectual property. Deposition summaries act as a vital document for preparing a trial, they ensure it is simpler for the attorneys to gain access to the necessary information/detail instantly and conveniently. A flawless summary is most likely the one which does not assess but summarizes the testimony after an intensive contract review and analyzing by a group of professionals. 1. Legal support outsourcing companies have experts that are skilled in litigation concerns in addition to having an outstanding spoken as well as written English capabilities. Specialists from popular LPO’s are well-acquainted with state/national/international legal guidelines and legislation processes. 2. 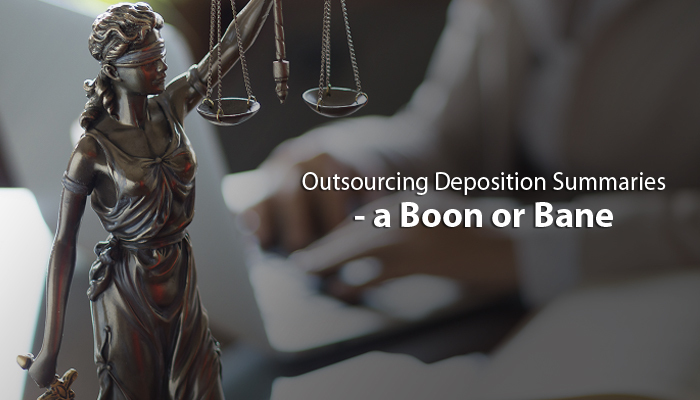 To outsource deposition summaries can help save law firms and individual solicitor’s considerable time, which they may invest in interacting with new clients as well as other on core tasks. 3. Outsourced legal transcriptionists complete their tasks with impressive speed and proficiency and are skilled to draft and summarize a well-articulated summary in the fastest turn-around time. 4. Employing a full-time legal in-house team is usually very costly while in contrast the off-shore firms also provide the facility of rendering services at an hourly or pay per page rate. 5. Legal process outsourcing companies deliver the results day and night to offer the most precise and suitable solutions to their clientele. Opting for expert deposition summary services will save senior legal professionals a considerable amount of time since these documents exhibit the related facts in condensed form. 6. An additional crucial benefit of choosing deposition summary services from a legal outsourcing company is their know-how and expertise. Legal transcriptionists possess a comprehensive understanding of their job whilst a layman might skip an important aspect in the course of the summarization procedure that may unfavorably influence the case. 7. Legal process outsourcing companies feature revolutionary technology, first-class infrastructure and plentiful manpower to offer personalized solutions in accordance with the necessity and budget of their clients. They offer international standard solutions in the most budget-friendly prices. 8. Having an effectual support team boosts the performance of attorneys and smoothens their workflow and judgment abilities. 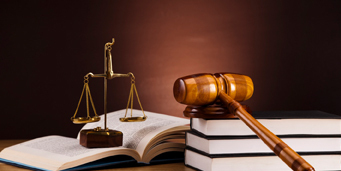 Read Also: How Can Opting for Specialist Litigation Support Services Help Your Business?